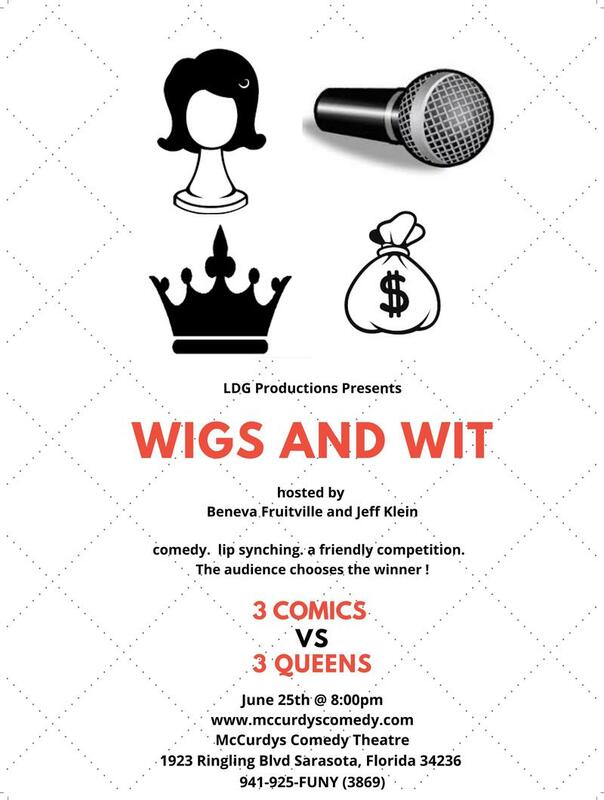 This spectacular showcase features a head-to-head battle of the wits between the area's most fabulous drag queens and hilarious stand-up comics. Music, comedy, and surprises make this a unique live experience. A finalist from each category will compete in the last act to determine the grand prize winner, based on audience's vote! Hosted by Jeff Klein and Sarasota's favorite hometown girl, Miss Beneva Fruitville. Presented by LDG Productions. We will gladly assist you and answer any questions regarding shows and performances. PLEASE NOTE: Everyone must be 18 years old with a valid ID to attend. There is a two item minimum purchase per person in the Showroom. We accept Visa and Master Card ONLY. Come visit us before and after the show for drinks and food in The Green Room East End. It's the perfect place to prep your funny bone before hitting the showroom for some of the greatest entertainers Sarasota has ever seen. Doors open at 6pm. We offer valet in front of the theatre. Additionally, there are three free parking garages within three blocks of the theatre.